Patrick E. Gallagher is the Ex-officio President of the Water Design-Build Council and represents CDM Smith on the Board of Directors. He is the Vice Chair of the Technical Practices Committee and a member of the Research Committee. WDBC is an organization established in 2006 to create a vocal and effective industry advocate for the value of alternative approaches to delivering water and wastewater infrastructure projects and to promote best practices in design-build and CMAR procurement and implementation through education and outreach. An attorney and environmental engineer, Mr. Gallagher is a Vice President at CDM Smith with 35 years of experience in the legal, institutional, and financial aspects of wastewater, water, biosolids, solid waste, and hazardous waste projects and services. He serves as a consultant to domestic and international clients and as in-house counsel on the procurement, contract development, and implementation of collaborative project delivery (construction management at-risk, design-build, design-build-operate, and design-build-operate-finance) and private sector participation in public infrastructure. Mr. Gallagher concentrates on the contractual, procurement, and finance elements of projects. 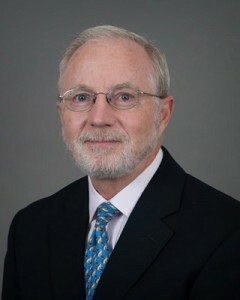 Patrick E. Galllagher, JD, P.E.